Paul Johnston is a writer I've had some interest in for quite a while. His thrillers have been published in Finland only under Harlequin's Bestseller imprint, and the books haven't had almost any kind of recognition. Yet I've heard good things about them, and I've been looking for a cheap copy (meaning one euro, tops) in thrift stores and used book stores. 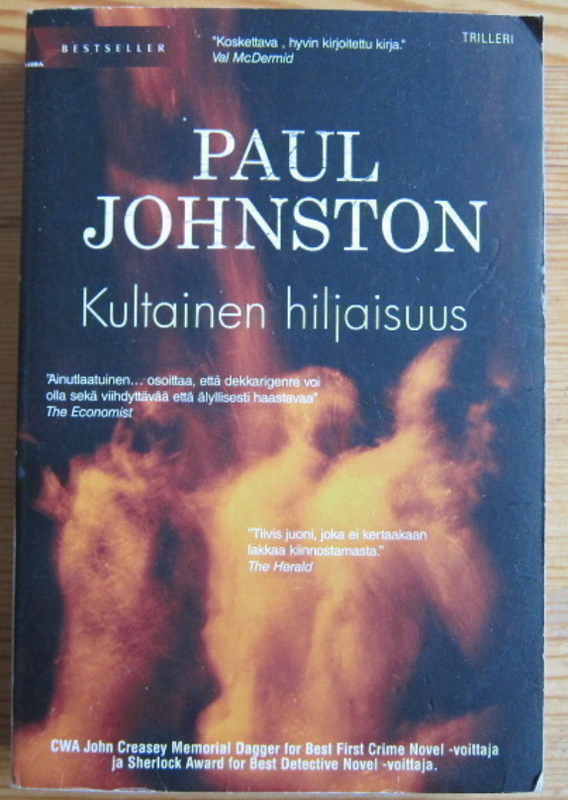 Finally I found The Golden Silence, Kultainen hiljaisuus in Finnish (it's a literal translation) and read it a week ago wanting to read something light-weight. The book was light-weight all right, but it also clearly wanted to be something deep, yet not really achieving that status. There are many original things about the book, though. First, the hero: private eye Alex Mavros lives and works in Greece. 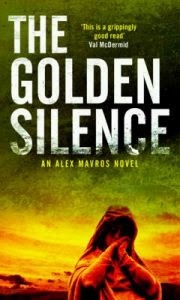 Second, the mystery he deals with in The Golden Silence has to do with the Greek dictatorship of the early seventies and the Leftist uprising against the said dictatorship. Mavros's older brother disappeared in the aftermath of the uprising and he keeps looking for him, and this case brings him closer to finding him. Mavros is a likable character, though not very multidimensional, and the Greek setting is believable - Paul Johnston lives in Greece -, but there's still something that unfortunately doesn't make to want to back for more. The style is too straight-forward and flat, and there were lots of stilted moments throughout the book. During some of these I thought of letting the book go, but the mystery remained interesting. It also made the torturing duo of father and son more intriguing and essential to the plot, though I wasn't all the time sure if they were necessary characters. The Golden Silence is not bad at all, and it may have suffered from the hasty translation (Harlequin is not really known for their good salaries), so if this sounds your kind of stuff, go for it. In the back cover there are enthusiastic blurbs from George Pelecanos (!) and Mark Billingham, so if you have any trust for blurbs, you could do worse than picking up Paul Johnston.